It's one of my favorite times of the year....EQT Children’s Theater Festival! This festival is an awesome way to introduce your kids to theater in the most kid-friendly way. 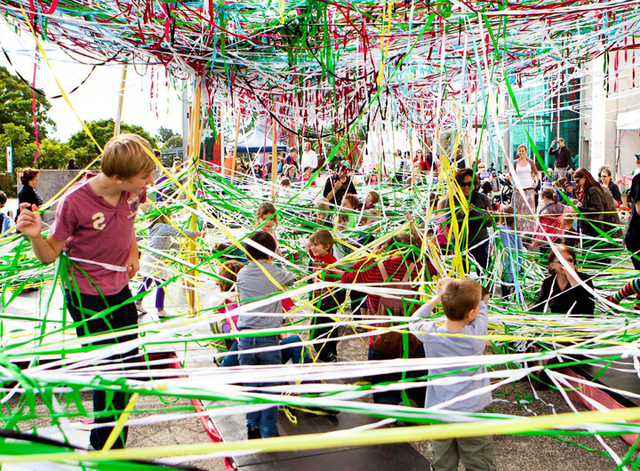 I especially can't wait to check out Tangle, this year's interactive art installation. 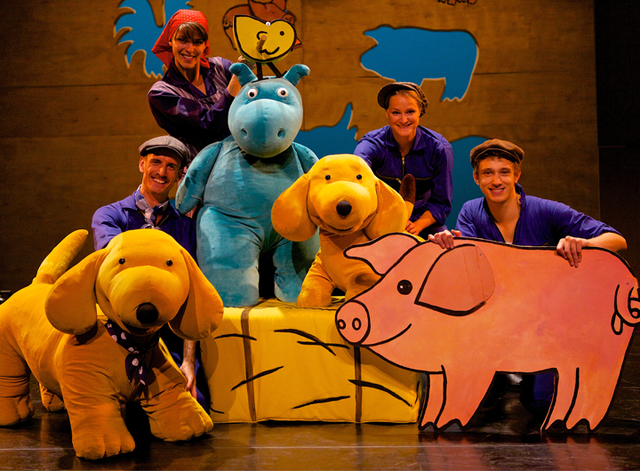 They have something entertaining for all ages, including a Sensory Friendly Performance. Tickets start at just $5 which makes the event very affordable. There are also lots of FREE events and a myriad of other activities to entertain your family! What does the theater experience bring to children? The benefits of theater are undeniable. Theater inspires imagination, creativity, problem solving, thoughtfulness and so many more life skills. International theater also brings the world to the stage in Pittsburgh. Children are introduced to other cultures and perspectives. What if a child has never seen theater before? Will they be engaged? Children’s theater is a fascinating term because it encompasses all genres—artists may create shows for young audiences utilizing various forms of performance and visual art—dance, theater, music, puppetry, object theater, comedy, circus, spoken word, etc. Many times one show will cross many genres. For festival first timers, I suggest considering a child’s unique interests. This year we have a show just for babies and toddlers called Umbo. The piece is a terrific first-time theater experience created along with child development specialists. Some children like to see shows based on a book that is familiar or can be read and discovered before hand—for example, this year’s festival includes Spot based on the books by Eric Hill, Hansel and Gretel based on the original Brother’s Grimm fairytale, and a contemporary take on Robin Hood. All ticketed performances will take place in the Cultural District. Full descriptions of each Featured Ticketed Performances are at www.TrustArts.org/PGHKids. Go along with Spot to the farm where all of the animals are lost. Spot and his friend Helen need your help! Can you recognize the sounds of the animals and help find them? * Sensory Friendly Performances, which will include interactivity, rhythm, repetition, reduced sound levels and gentle lighting are scheduled at 1:00 p.m. on May 16 and 5:45 p.m. on May 17. Sponsored by The Children’s Institute. 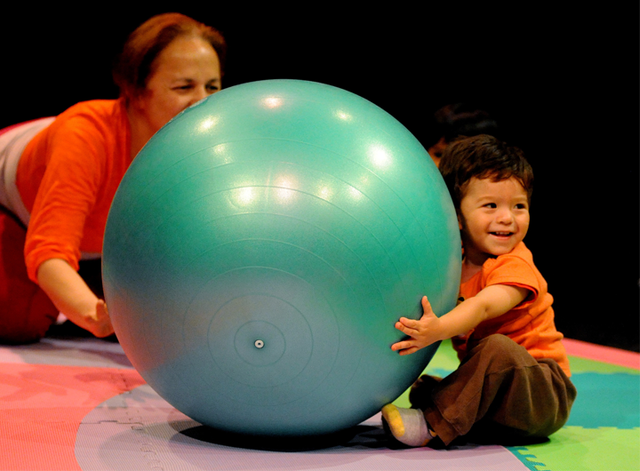 A joyous, playful and stimulating experience for the youngest of audiences. Share a special moment with your little one in a colorful world filled with play, exploration, and discovery. Follow Umbo as he grows just like you will! *All children require a ticket, accompanied by an adult. Additional adult companions and guests will be seated in chairs surrounding the play space. Are you brave enough to hear the real story of Hansel and Gretel? 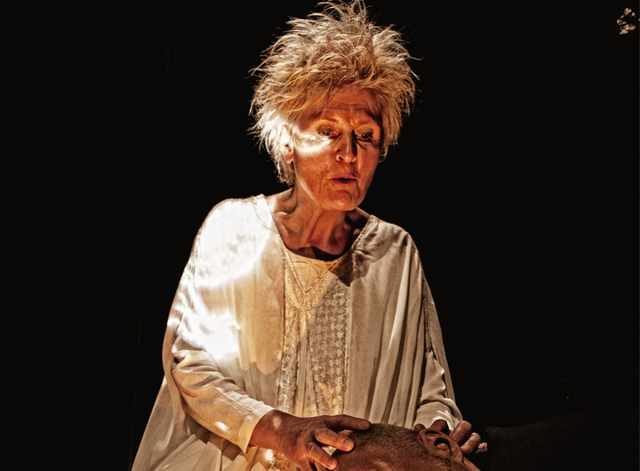 The darkest of The Brothers Grimm fairytales is brought to hair-raising life. With live music, the storyteller transitions between all characters, illustrating the tale using stunning visuals and projections. *Children under the age of 8 will not be admitted. In a forest near you lives a band of brothers seeking to rid the land of evil and return hope to the poorly treated. 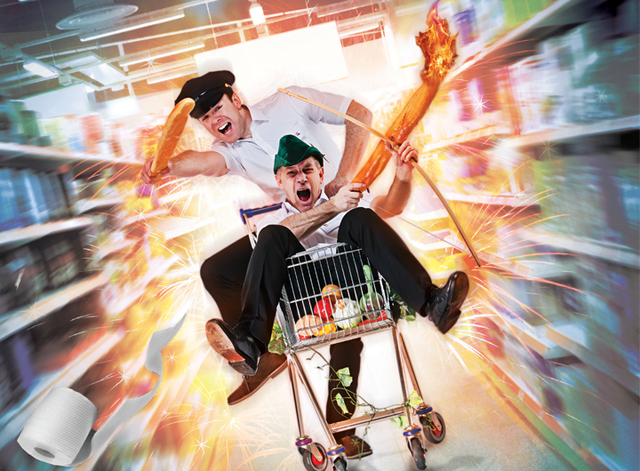 Join internationally acclaimed Visible Fictions for a silly and unexpected take on Robin Hood and unleash your imagination! The brave Manxmouse is unique. He has bright blue fur, huge rabbit ears, and a distinct lack of a tail, but he doesn’t mind being different! 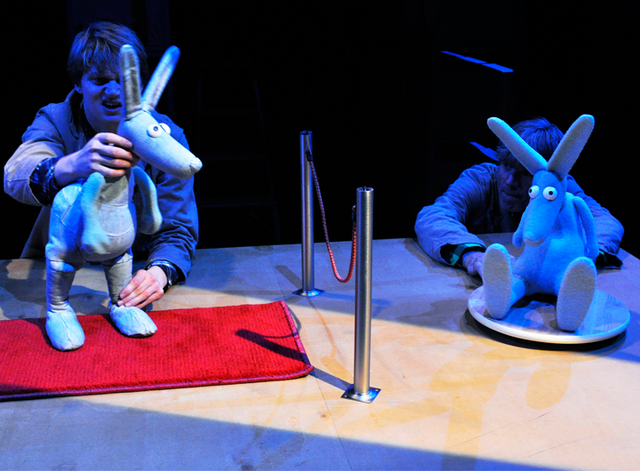 Manxmouse is a play about being yourself, told with puppets, animation, and music! Play in and explore this unforgettable art installation, complete with live music! Visitors create a tangled multi-colored landscape by weaving colorful balls of elastic through tall golden poles. What will you create?! Polyglot Theatre is assisted by the Australian Federal Government through the Australia Council, its arts funding and advisory body, the Victorian Government Melbourne and the City of Stonnington. SENSORY-FRIENDLY EVENTS during this year’s festival include SPOT (Theater Terra, The Netherlands) taking place at the Byham Theater, 101 6th Street, Pittsburgh, PA 15222. Sensory-friendly performances will be held at 1:00 p.m. on May 16 and 5:45 p.m. on May 17. This year the center of the Festival features a bigger and better pop-up park! This special green space is full of turf lily pads and furniture, flower planters, a sandbox, and more! Enjoy even more play space this year as Penn Avenue will be closed to traffic from 7th to 9th Streets during the entirety of the Festival! A Complete listing of Food Trucks, Family-Friendly Restaurants, Community Stage performances and Hands-On activities will be made available at TRUSTARTS.ORG/PGHKIDS in May. Vendors will be selling a variety of foods on the festival grounds – ALL SALES ARE CASH ONLY. Benches and grass seating areas are available throughout the Cultural District to enjoy food vending or packed lunches. Family-friendly artwork is on display at Space, Wood Street Galleries, Future Tenant Gallery, 707 & 709 Galleries, Shaw Galleries and Agnes R. Katz Plaza. From craft-making to workshops to games, attendees can discover over 30 fun activities on the festival grounds! Back by popular demand, attendees can explore key locations in and around the festival Grounds! Discover interesting facts, participate in fun activities and learn about the Cultural District along the way. Complete the scavenger hunt and win a kid cone from Dream Cream Ice Cream. This kaleidoscopic showcase of the best short film and animation comes straight from the New York International Children’s Film Festival. The show runs daily during Festival hours. Films are recommended for kids ages 3-6 and will take place at the Harris Theater, located at 809 Liberty Avenue. Festival travel as convenient and comfortable as possible! For information about parking lots and garages in the Cultural District, visit www.ParkPGH.org. This site shows real-time parking availability in over 20 downtown parking lots with parking inventory updates every 30 seconds. *Photos used courtesy of the Pittsburgh Cultural Trust. **Deanna Lee is a recovering advertising professional, amateur cook and freelance writer. Hailing from northwestern PA, she's made the transition from country to city life and enjoys writing about (and experiencing) all things Pittsburgh. Spot looks like a good option! My daughter is 22-months-old so I would say UMBO. My daughter love theater and would love this! I was nervous to try sit down shows with my 18 mo. yr old because I thought there was no way he would want to sit but just yesterday he sat through a short show and loved every second of it! He didn't move a muscle just looking all around. I am so interested and excited to try out this type of show! He will love it!! Spot looks best for us since we have younger kids. Thanks! Manxmouse would be a hit with my boys!!! We enjoy going every year (though fondly remember the Schenley Park years! ).